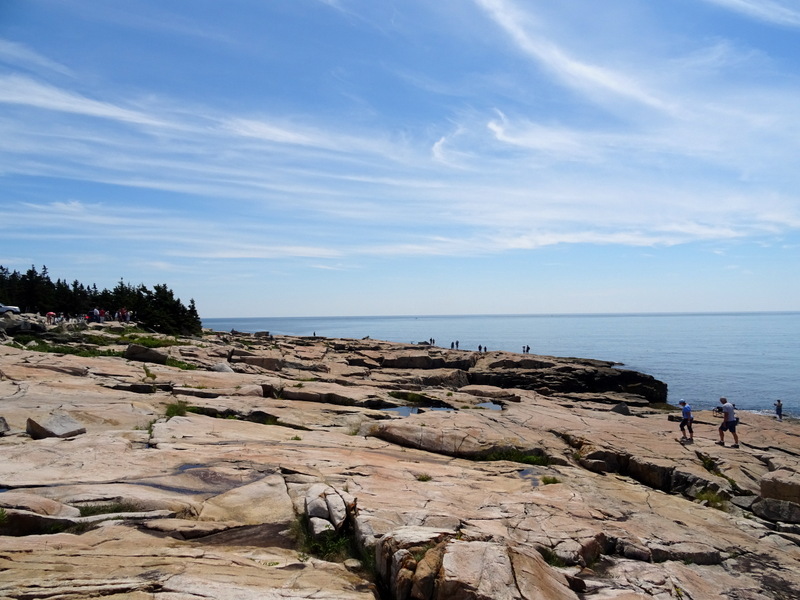 Of the nearly 3 million people who visit Acadia National Park every year, very few leave the main park to see the smaller, but nonetheless spectacular Schoodic Peninsula. 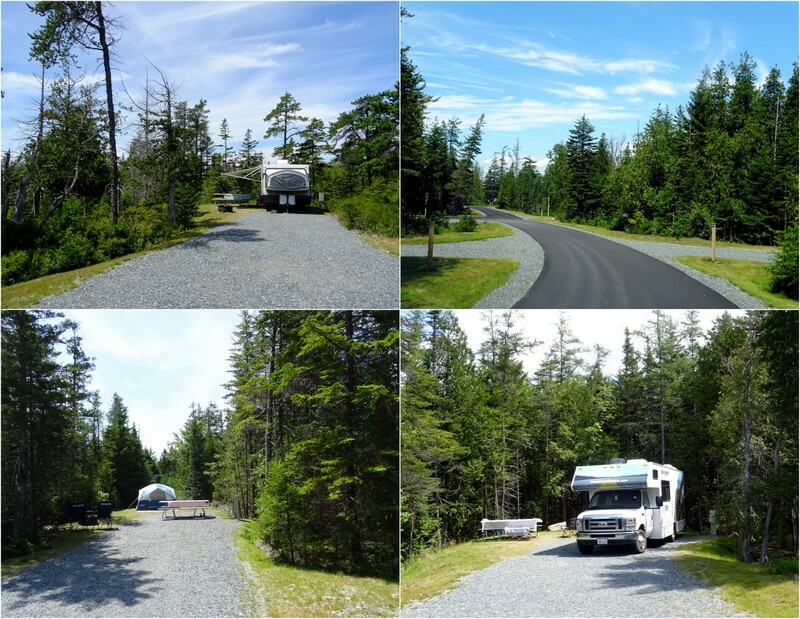 Located about an hour’s drive east of Mount Desert Island on the other side of Frenchman Bay, this 24,000 acre peninsula is home to striking granite headlands, rocky beaches, spruce-fir forests, and a brand new campground. This past weekend we went over to check it out. 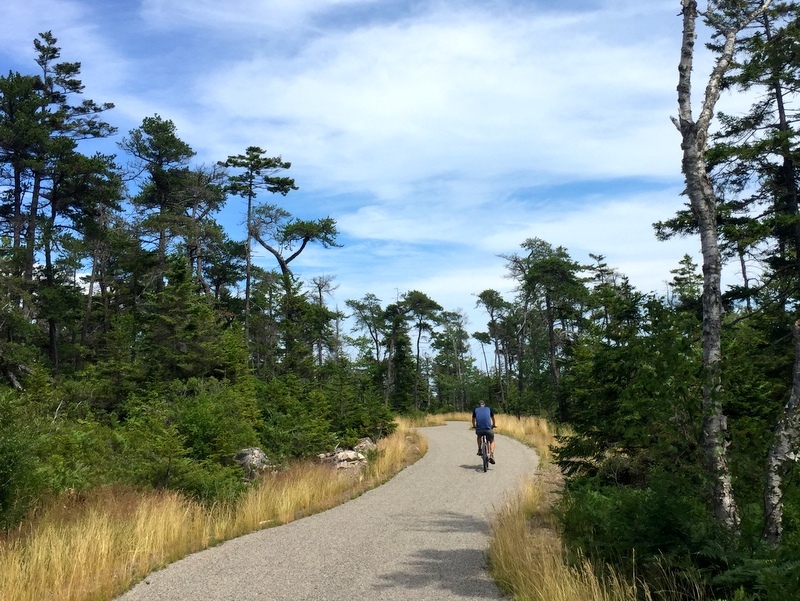 The Schoodic Peninsula has been part of Acadia NP since 1929, but only in the last year did they add a campground and nearly nine miles of brand new carriage trails. 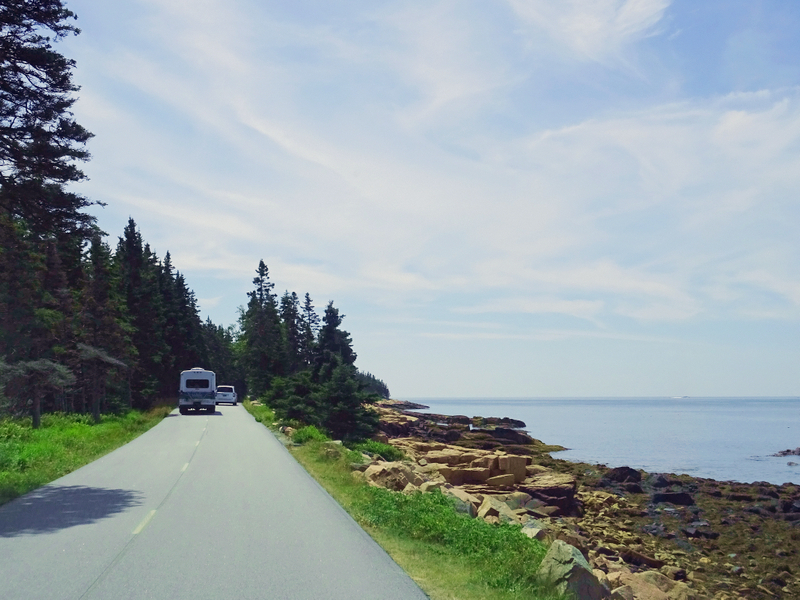 We drove a loop though the Schoodic Woods campground and were very impressed. The sites are well spaced and level, with a hard packed gravel surface and adequate trees for privacy. All sites have electric hook-ups, and some have water as well. There is a dump station and nice bathroom facilitates, but no showers, which seems strange for a brand new campground without sewer hook-ups. It’s a big campground with 92 sites, including 9 walk-in tent sites. I couldn’t find any information online about RV size limits, but we drove past several really long pull thru-sites in the B loop that looked like they would fit even the most beastly Class A motorhome sporting a billion and one slide outs. All the sites are reservable, and while the park recommends reserving in advance, when drove through mid-day on a Saturday the campground was only half full. I wonder if that will change as more people learn about the campground? Oh, and as a bonus, unlike the NPS campgrounds in the main area of the park, Schoodic Woods has both Verizon & AT&T service. I can definitely see us staying there in the future. After touring the campground we set out to drive the six-mile, one way park loop road. If your don’t want to drive yourself there’s also a free shuttle that travels around the peninsula. Biking is also a popular option. We also saw a good number of people riding the loop road, and while we tend to dislike biking on roads with cars, the two lane, one way road with a low speed limit seems like a fairly safe option. At the end of the peninsula we stopped at Schoodic Point for a look around. Lots of people were out enjoying the view and picnicking on the rocks, but like the campground, the parking lot was only partially full and it didn’t feel crowded at all. After exploring around for a bit we continued on to the Blueberry Hill parking area where we found a quiet spot for lunch with a view. The water looked really inviting and we considered going for a short paddle. It was nearly low tide though, and we would have had to carry the kayaks across a large expanse of very slanted rock, so we decided against it. 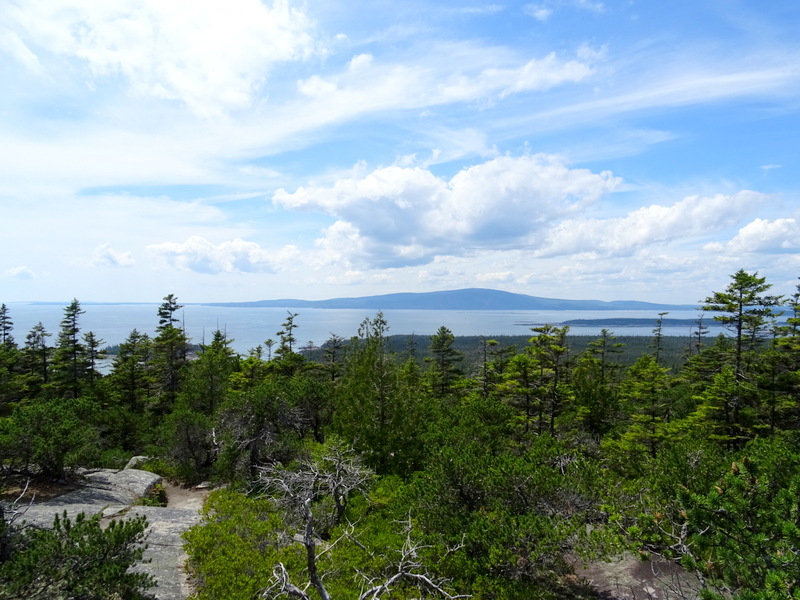 Instead, we crossed the street and hiked up the Anvil Trail to Schoodic Head. 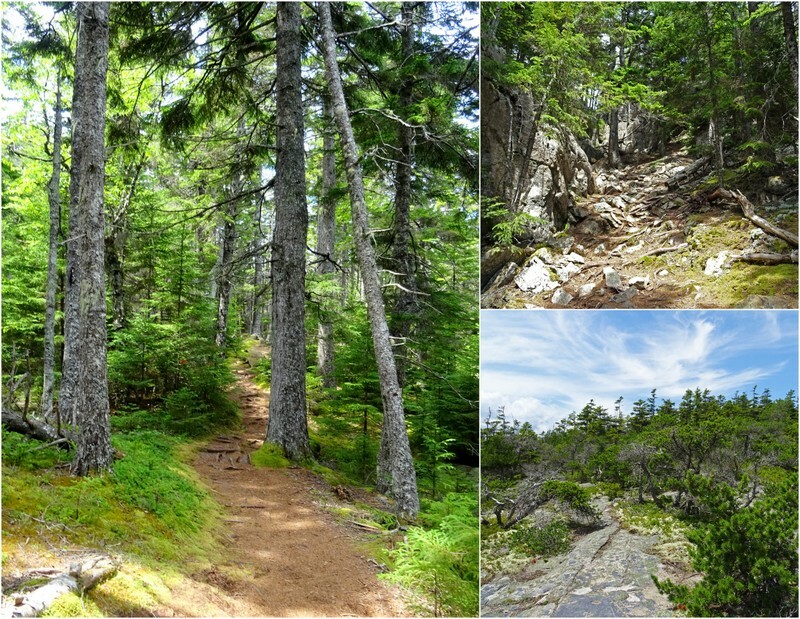 It was only a mile to the summit, and we enjoyed the mixed terrain consisting of gnarly rocks and roots, exposed rock and flat forested path — a typical Acadia kind of hike. The view at the summit wasn’t very impressive so we continued another two-tenths of a mile to the overlook where the trees were more open allowing for a better view. On the way down we made a loop by taking the Alder trail which offered another view of Mt. Desert Island before plunging below the tree line for the final descent. It was a rather short hike at only 2.5 miles, so we decided to use our extra energy for a ride on the new carriage trails. 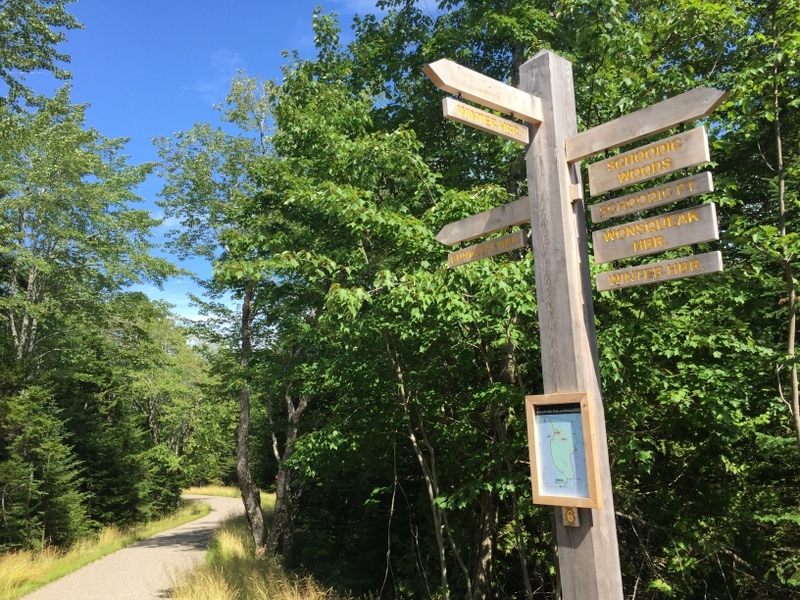 The 8.5 miles of looping, up and down trails were opened at the same time as the new campground and provide an appealing place for bikers who prefer trails to roads. These trails have many of the same qualities that make the carriage trails in the main part of the park so great — wide, hard packed gravel, gentle curves, and pretty views. We ended up riding a 9-mile loop that had a LOT of long ups and downs. In general, I would say that these trails are bit more hilly than the main section of the park, so if you’re looking for a workout this is the place to go. The only complaint about these trails was that in places the gravel was a bit loose which worried me on some of the steep, curvy downhill sections, I suspect that will improve as more people use these new trails. On the plus side, we really enjoyed the helpful trail markers with maps at all the intersections. 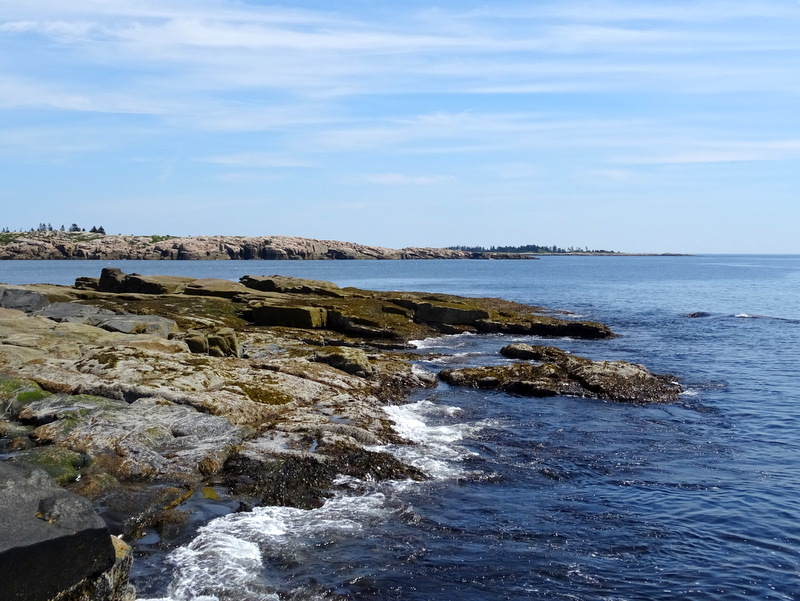 Overall, we had a very enjoyable day trip to the Schoodic Peninsula. It was nice to get away from the crowds for a bit, and while it’s much smaller than the main park, I can see us spending a week camped over here the next time we visit the area. I love that there is a less crowded area nearby. I hope it doesn’t get “discovered” too soon! Looks like some ankle turning rocks on the trails…but well worth the effort. It’s so nice when the trails are well marked and mapped. Looks like you found a great place for a day trip AND to stay! I don’t think it will ever get as busy as the main park because it’s much smaller and doesn’t have easy access to places like Bar Harbor. I do think the new campground will attract more people though. Those crazy rock and root filled trails are the norm here in the northeast. You really have to be careful where you step! Hello!Had been following your site for a while and had really learned a lot from your blogs.We had been dreaming to travel with our Airstream like yours .We are heading northeast in 2 weeks and had been studying your route .We are heading to Boston and Maine from Tampa.We are staying at the Schoodic campground for 4 days.Looks beautiful.Do they charge the entrance fee of $25 even when you camp in their campground and can you use it in the main park.This campground would be our base going to the main park and to Bar Harbor.It is a little bit far but their fee is pretty reasonable compared to the ones closer to the main park.Thanks for this post.Came on the right time. How fun! I think you will really love the campground. 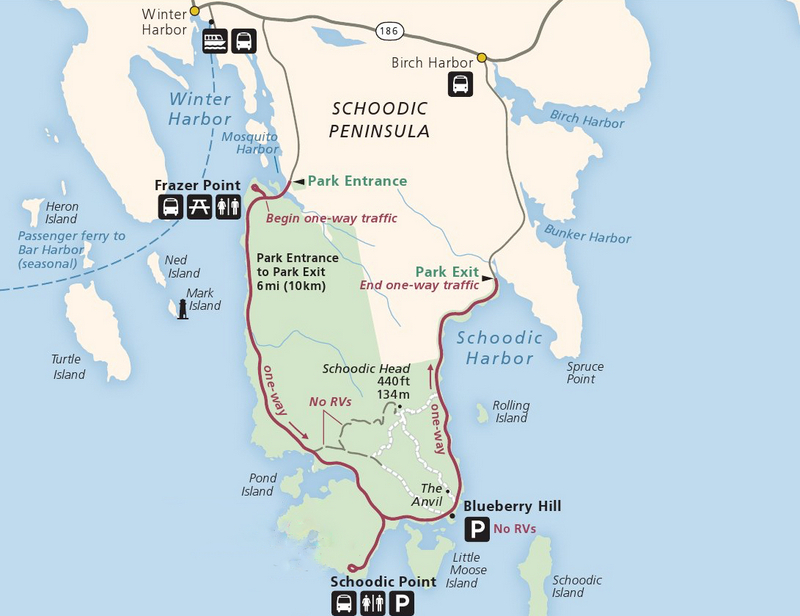 As for the entrance fee, it’s not required on the Schoodic Peninsula, but you will need it if you want to explore the main part of the park. If you plan to visit several national parks over the course of the year, I would highly recommend looking into getting an America the Beautiful pass. It costs $80 for the year and gets you into all the parks, monuments, etc. We buy one every year. 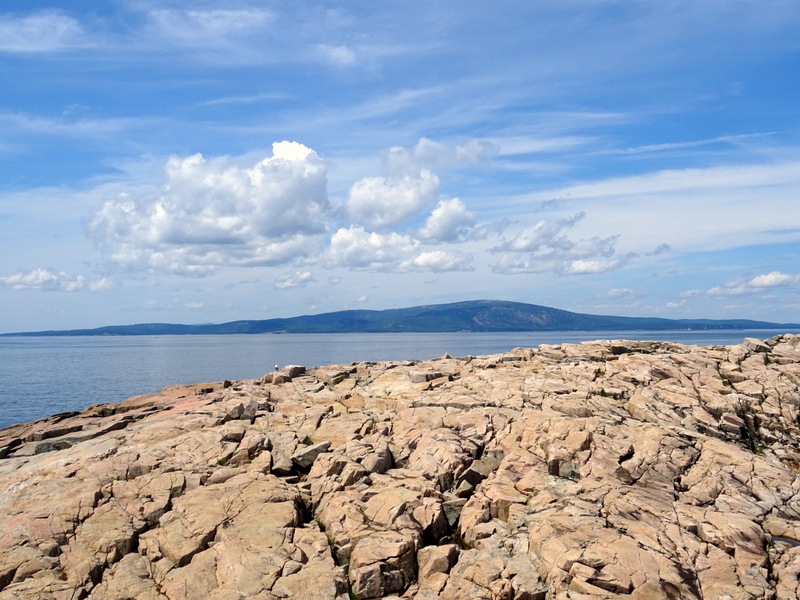 Also, there is a ferry that goes from Winter Harbor (near the Schoodic CG) to Bar Harbor. I’m not sure how much it costs, but it might be a fun way to get to the main island without driving. Once you’re there you can ride the free shuttle bus around the entire park. Enjoy! Thank you so much.And safe travels.Looking forward on your e bikes review. We just pulled into Ellsworth. Where do you recommend for lobster rolls? Well I’m no expert, but there’s a place here in Trenton right before you cross over on to Mt. Desert Island called the Down East Lobster Pound. It’s a bit of dive, but you can’t go wrong with the food. We’re leaving tomorrow and already have plans today, otherwise I would suggest a meet up :( Enjoy your stay! We just bought our first motor home a month or so ago and are heading “home” to NE at the end of September. 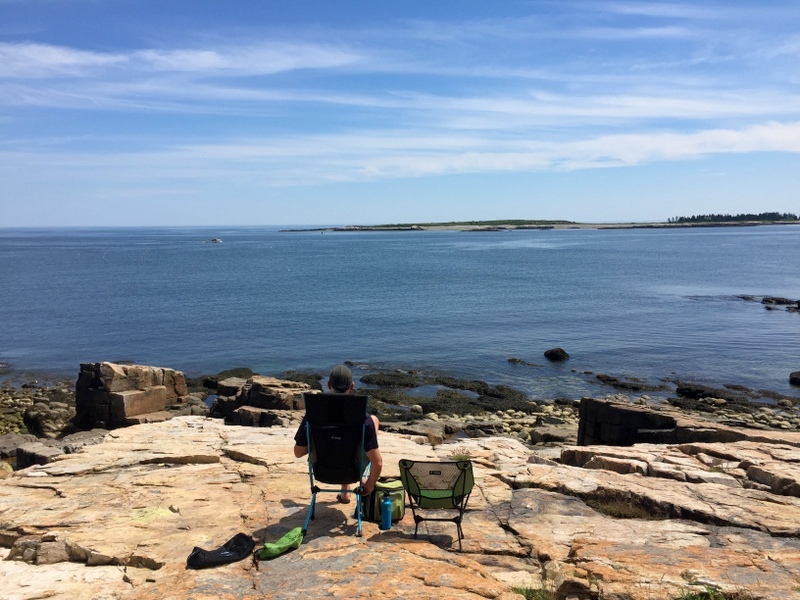 This post got me thinking of heading on up to Acadia. The campsite may not be very crowded in the middle of the summer, but the end of September it appears to be. A two day, mid-week inquiry showed two spots available!! Amazingly, moving to a weekend came up with four spots. We may book one of those spots. Thanks for your very interesting, informative, and detailed postings! I guess that makes sense since fall is such an appealing time of year in the NE. If you do go I hope you enjoy it! About an hour after the above post, my husband got home and we discussed going on up to Acadia. I went back on the site and got the last RV site for 9/28-10/1. Thanks for bringing it to my attention!! 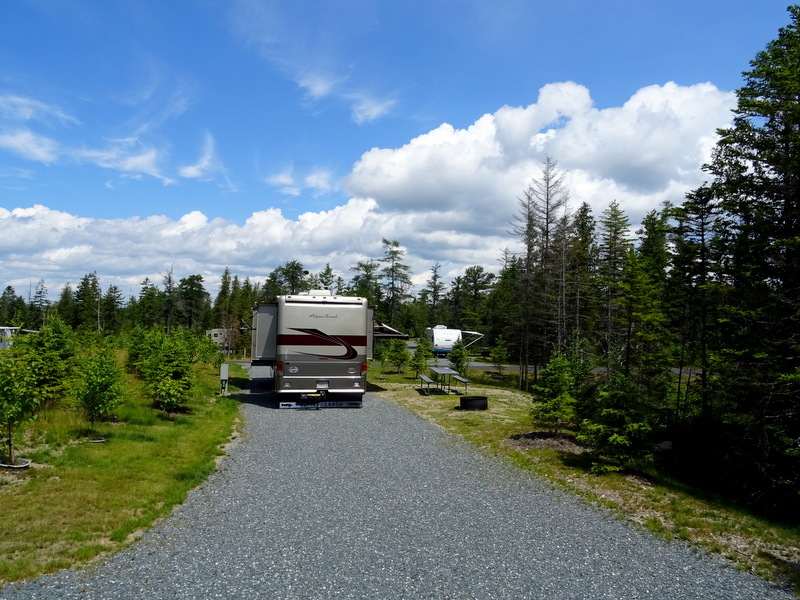 We just returned from our “maiden voyage” in our motorhome and did make it to Schoodic Woods Campground. Thanks so much for all the info you share. We really enjoyed the campground and did the hike from the campground to Blueberry Hill. The last mile or so was quite rocky but beautiful nonetheless. I think what we liked best about the area was a NP that welcomes dogs everywhere. Our one-year old Golden Retriever was able to go on the shuttles with us, took the ferry to Bar Harbor (along with a classroom of 4th graders–dog heaven) and back and loved the area as much as we did. My husband is now researching pocket cameras–our Cannon Powershot started to wimp out on the trip. I’ve got him researching your recommendation of the Sony. 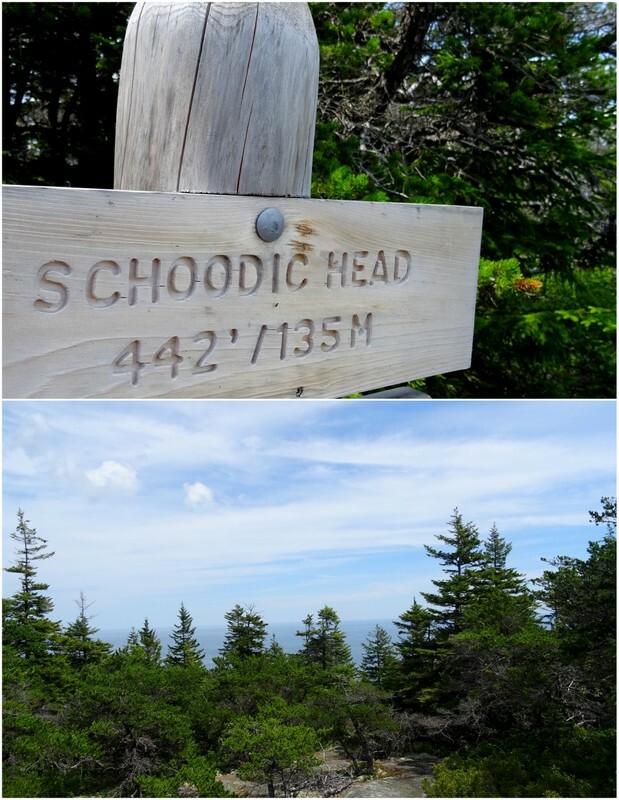 So happy you liked Schoodic Woods! You’re right – the fact that Acadia is so dog friendly is a bonus for pet owners. How cute your pup even got to travel on the shuttle with you :) We still love our Sony camera. It’s not quite as pocket-sized as the Cannon, but I continue to be impressed by the crisp images and true colors. 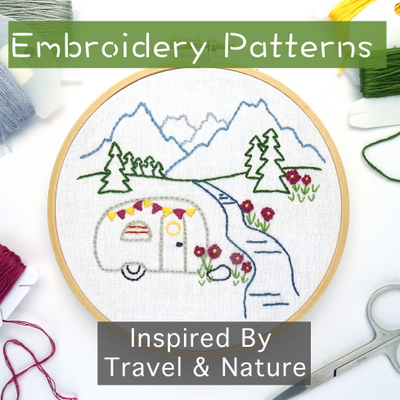 This looks fantastic—just our kind of place! I love that there’s a peaceful option in Acadia NP. I am so over the ridiculous crowding in so many of the national parks. But this looks perfect! Thanks for the great writeup and beautiful photos. Yup, after all the busy Utah parks this spring we were ready for less crowds. 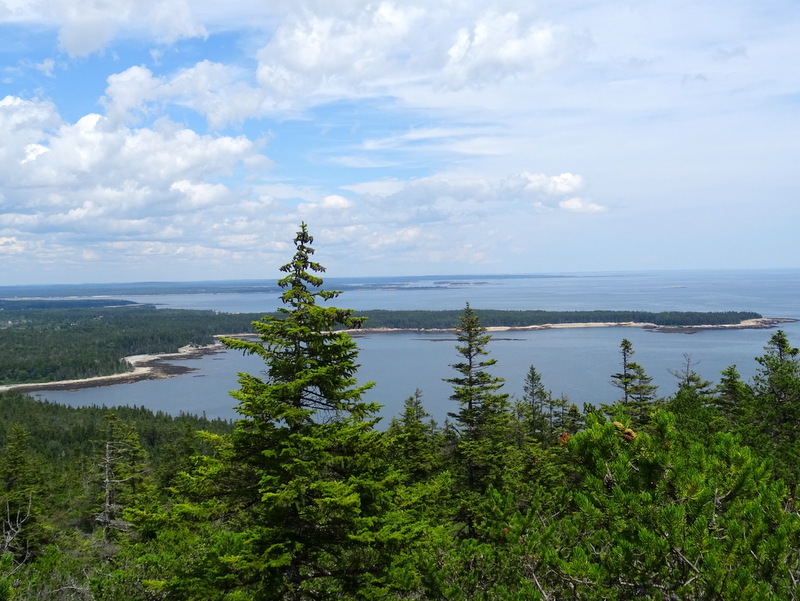 Fortunately, Acadia has several areas, including what the call the “quiet side of the island” (AKA – away from Bar Harbor) where the crowds thin out. We’ve also found that hitting the trails early morning or late afternoon is a great way to find some solitude.